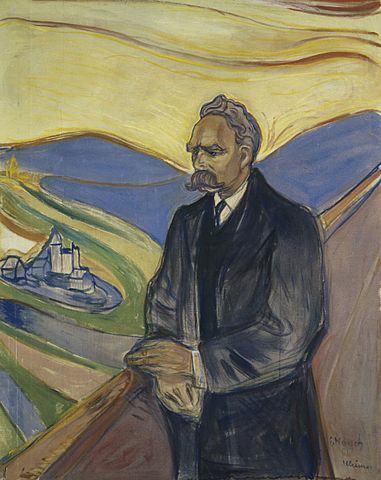 Nietzsche's key ideas include the "death of God," the Übermensch, the eternal recurrence, the Apollonian and Dionysian dichotomy, perspectivism, and the will to power. Central to his philosophy is the idea of "life-affirmation", which involves questioning of all doctrines that drain life's expansive energies, however socially prevalent those views might be. His influence remains substantial within philosophy, notably in existentialism, post-modernism, and post-structuralism, as well as outside it. His radical questioning of the value and objectivity of truth has been the focus of extensive commentary, especially in the continental tradition. Nietzsche began his career as a classical philologist before turning to philosophy. In 1869, at the age of twenty-four he was appointed to the Chair of Classical Philology at the University of Basel (the youngest individual to have held this position), but resigned in the summer of 1879 due to health problems that plagued him most of his life. In 1889, at the age of forty-four, he suffered a collapse and a complete loss of his mental faculties. The breakdown had been ascribed to atypical general paresis attributed to tertiary syphilis, but this diagnosis has since come into question. He lived his remaining years in the care of his mother until her death in 1897, then under the care of his sister until his death in 1900. His sister Elisabeth Förster-Nietzsche acted as curator and editor of Nietzsche's manuscripts during his illness. She was married to a prominent German nationalist and antisemite, Bernhard Förster, and she reworked some of Nietzsche's unpublished writings to fit her husband's ideology, often in ways contrary to Nietzsche's opinions, which were strongly and explicitly opposed to antisemitism and nationalism. Through Förster-Nietzsche's editions, Nietzsche's name became associated with German militarism and Nazism, although some twentieth century scholars counteract the abuse of Nietzsche's philosophy by this ideology.